Latin America’s diverse political and economic struggles and triumphs have captured the global imagination. The region has been a site of brutal dictators, revolutionary heroes, the Cold War struggle and as a place in which the global debt crisis has had some of its most lasting and devastating impacts. Latin America continues to undergo rapid transformation, demonstrating both inspirational change and frustrating continuities. 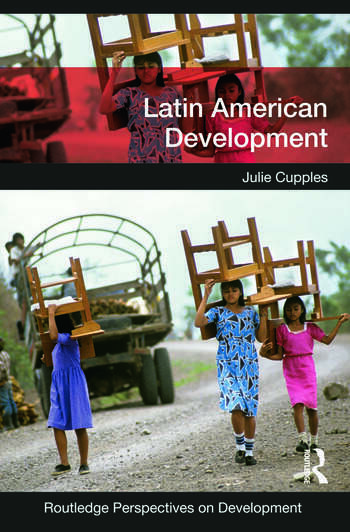 Julie Cupples currently lectures in Human Geography at the University of Edinburgh. She has been working in and on Latin American development for more than two decades, through both Central American solidarity and academic scholarship. Most of her research has been carried out in Nicaragua. She has published widely on a range of themes including postdevelopment, gender, revolution and conflict, neoliberalism, elections, municipal governance, indigenous and community media, and climate change, disasters and environmental risk.